Is your disparate business data overwhelming or confusing the organization? Are decisions being delayed, causing lost or diminished market advantage? Does your organization distrust its own data? TADA turns complexity into a competitive advantage. We unleash innovative decision making and drive simplicity by aggregating existing information quickly and easily. 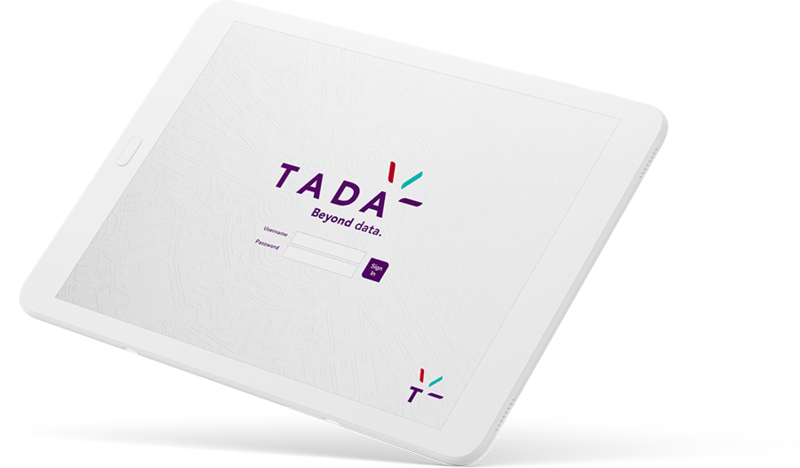 By assimilating new information, TADA can visualize and analyze data in ways that drive intuitive decision making. First, we create a digital duplicate of your entire operation using the semantics and language of your business. Then we rapidly connect all of your business data from disparate sources without the need of a data warehouse. Finally, we align your organizational thinking with the data to inspire real-time collaboration & problem solving. By creating a 360° view of what’s going on in your organization, TADA reveals unique insights that help drive collaboration and problem solving across an entire enterprise. The TADA platform is full of features that help make your operations clearer, thus helping you understand what is taking place faster. Implement and launch in only 6 to 8 weeks, allowing for rapid impact and benefit across business units. Navigate your business both horizontally and vertically, exploring information the way your mind operates. Follow and react to trends and patterns in your business as data tells stories worthy of your attention. Access your information on-demand from multiple devices with seamless performance - no matter the platform. Get notified of important changes or disparity in your business operations in real-time, when they happen. Interact with others instantly, avoiding lengthy delays by chasing out-of-date data across multiple silos. Sign up with your email address to receive news and updates from Tada.